Nachos is the most craved food by pregnant women. The word “Nacho” is actually used as a name in Argentina and other Latin American countries. Invented in 1943 by Ignacio “Nacho” Anaya. Nachos as we know them arent mexican food, they’re Tex-Mex. The first known appearance of the word “nachos” in English dates to 1949, from the book A Taste of Texas. 1814 Antoine-Joseph (Adolphe) Sax was born. A musical instrument maker, he invented the saxophone. 1923 HyperInflation ran rampant in Europe. A loaf of bread cost 140 Billion German Marks. 1991‘Cream’ by Prince & The NPG is #1 on the charts. 1993 The world’s largest peanut butter and jelly sandwich was created in Peanut, Pennsylvania. It was almost 40 feet long and used 150 pounds of peanut butter and 50 pounds of jelly. 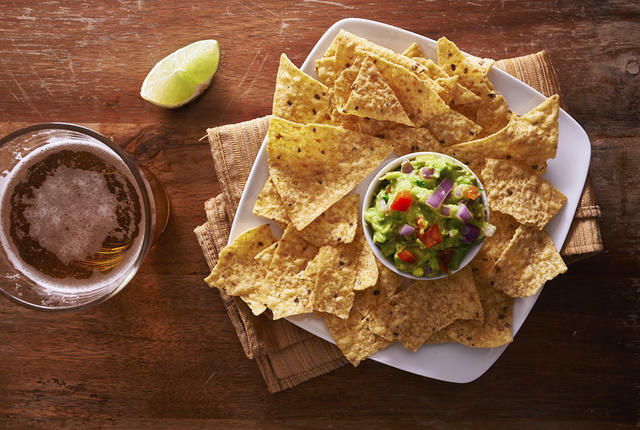 February 24th is National Tortilla Chip Day! Most tortilla chips are triangular shaped because they are cut from a round tortilla. Tortilla chips are considered the most fattening item sold in Mexican restaurants with as much as 2 grams of fat per chip. Nachos are said to be created by Ignacia Anaya in 1943,and account for 30% of all restaurant tortilla chips. 1874 RIP John Bachman, A Naturalist who wrote some of the text for John James Audubon’s albums of birds and mammals of North America. 1938 DuPont begins production of nylon toothbrush bristles. A patent had been granted in 1937. The nylon bristles replaced hog bristles. Yes, toothbrushes used to be made with hog bristles. 1989 A fossil egg was found in Utah that was 150 million years old.